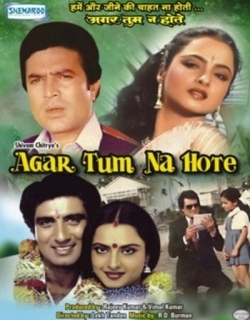 Agar Tum Na Hote is a 1983 Indian Bollywood family drama, drama, social film released on Nov 04, 1983. The film is directed by Lekh Tandon, produced by Rajiv Kapoor. The story starts with Ashok Mehra and his companion named as Neena Mehra who are expecting their first child. But, tragedy hits the life of this happy couple and Neena dies giving birth to a young girl named as Mini. Now days pass and Mr. Mehra tells his photographer friend to search for a girl who will endorse their cosmetic products in foreign countries. Raj Bedi, who is Ashok Mehra’s friend, says and yes to this proposal and he finds Radha who looks similar to Neena Mehra. Now, Radha and Bedi fall in love with each other and they decide to get engaged to each other. 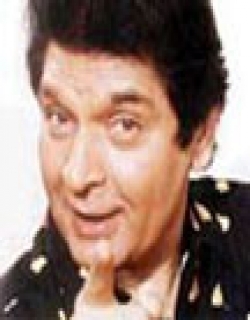 But, tragedies strike their happy living and Raj Bedi is captured by a paralysis attack in an accident. Now, Radha has to work under the agreement of her boss Mr. Ashok. Bedi doesn’t like this and starts suspecting Radha. But, Ashok on the other end also likes Radha too. Now, Radha has to make a decision on how to match up between her love and her life. Check out this page for more updates on Agar Tum Na Hote. This page provides latest and updated information about Agar Tum Na Hote (1983) movie which released on Nov 04, 1983. 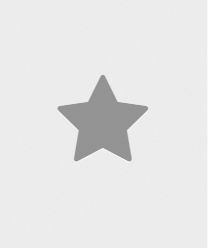 Agar Tum Na Hote (1983) is directed by , produced by , starring .We have also provided 0 trailers and videos, 3 photos, 8 user reviews, and 0 critic reviews.Agar Tum Na Hote (1983) has received 4 rating from user reviews.The overall rating of Agar Tum Na Hote (1983) is 80 and movie is 4.Agar Tum Na Hote (1983) has won 0.001 crore awards.You can review, like, dislike this movie and also can add to favorites. You can also find information on showtimes, CDs, DVDs, online rental, online free watching.